I understand the challenges of today's busy professional, as I've been one for the last 20 years, and I can help you achieve your racing and training goals. With 20 years as a hardware engineer, Marco has been geeking out his entire life. He loves solving a good problem. He’s also a lifetime athlete, competing in martial arts, diving, sailing, and bicycle racing. He’s combined his two passions – engineering and cycling – to focus on helping other endurance athletes reach their athletic goals. 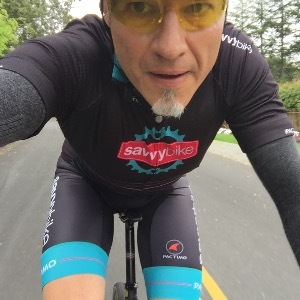 He’s been racing bikes since 2005, focusing on cross country mountain bike, ultra-endurance mountain bike (8 hour/24 hour/100 mile), and cyclocross. He loves epic rides on road and dirt. Marco is a USA Cycling Level 3 Coach and has participated in coaching education programs with Training Peaks. Hearth rate monitor required, power meter highly recommended. Success. Coach Marco Soldano has been notified of your message.